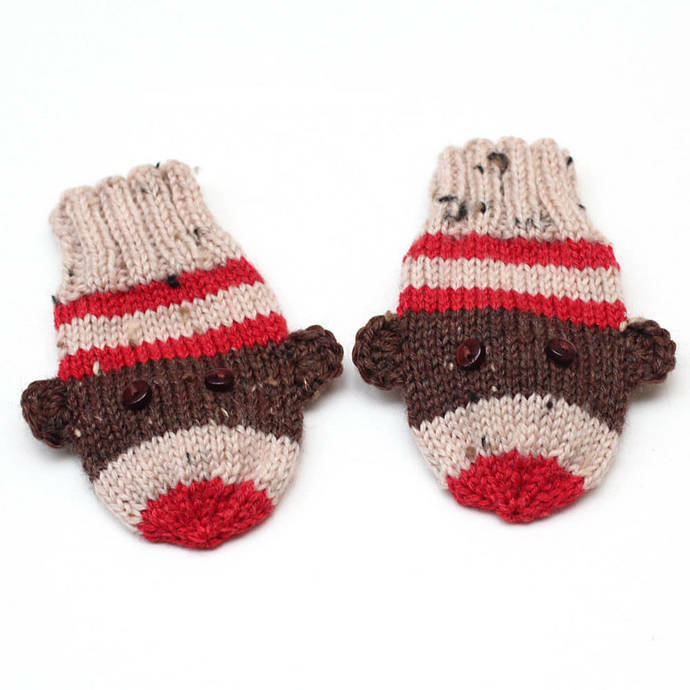 Hand knit thumbless sock monkey baby mittens without a coat cord. Also available with a coat cord. Please specify style when ordering. Hand knit in the Texas Hill Country with imported superfine weight Merino wool blend yarns from Turkey and Peru. 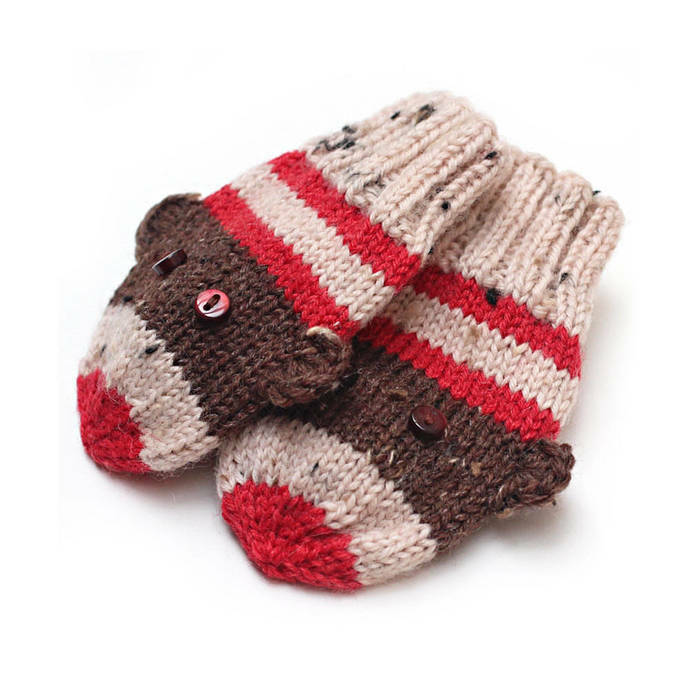 These adorable mittens are knit in smooth stockinette stitch with seamless construction. The no-thumb design easily slips onto tiny hands. 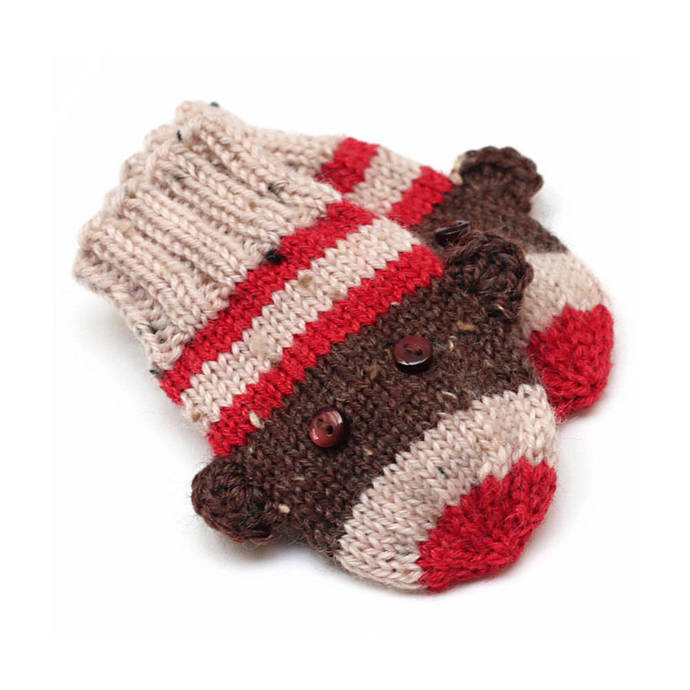 Ribbed cuffs gently hug the wrist to help keep them on baby's hands. Shiny, dark brown plastic button eyes are securely hand sewn in place. Crocheted ears. 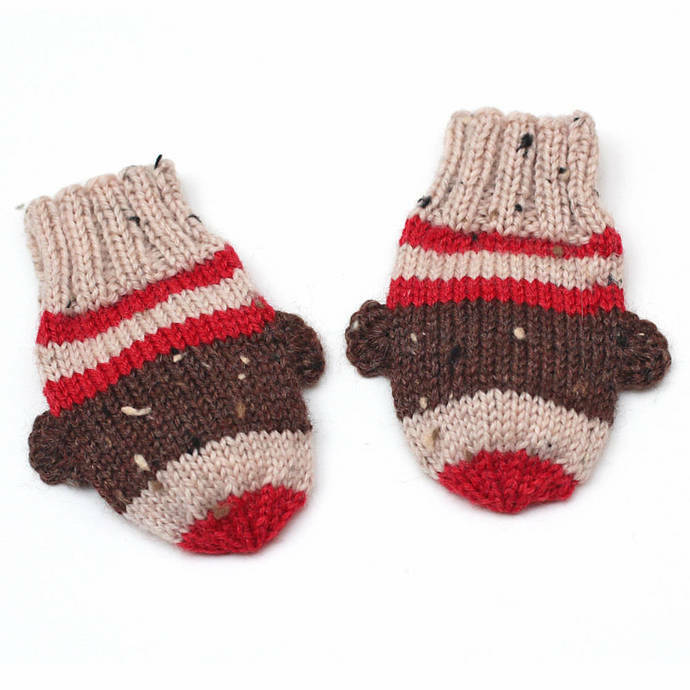 These mittens are sized for approximately a 3- to 6-month-old infant. Fiber Content: Red is 50% superwash Merino wool/25% rayon made from bamboo/25% nylon. Oyster and brown tweeds are 65% superwash Merino wool/25% nylon/10% Donegal tweed.